The cab seating consists of driver and passenger captain seats. The passenger seat rotates fully to create a flexible social seating area accommodating up to 5 adults. This central seating area consists of a bench seat and a forward facing rear seat with a seat belt. EVERYTHING WORKS PROPERLY TOO. 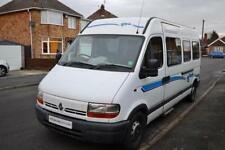 THIS IS OUR 1999 (T) 2 BERTH AUTO-SLEEPER EXECUTIVE/PEUGEOT BOXER. 2 LTR PETROL. POWER STEERING. 3 PREVIOUS OWNERS. 65K MILES. MOT TO OCTOBER 2019 (NO ADVISORIES). *NO RESERVE* *M.O.T 25/02/2020* *40,365 MILES* *L@@K* ! Genuine reason for sale. The cab seating consists of driver and passenger captain seats. The passenger seat rotates fully to create a flexible social seating area accommodating up to 5 adults. This central seating area consists of a bench seat and a forward facing rear seat with a seat belt. Autosleeper Clubman. 2.0ltr Petrol. VW transporter. Very clean condition. MOT’d until 19/12/2019 and lots of receipts for money spent on the vehicle. The lounge is two parallel sofas which can be converted into a large double bed (6’6” x 4’10”) or can be used as two single beds (6’6” x 2’3”). 2005 Auto-sleeper Symbol. 1x large double bed. Timing belt replaced 2018. Truma Gas/Electric hot water system. 2x single beds or. (call to arrange). Full cooker with oven/grill/hob. Overhead storage locker. My VW T4 Autosleeper Clubman GL. Lovely van and brilliant for camping. small enough to go anywhere! 2.4 Diesel. 72,800 miles. good tyres. late front bumper conversion, Clear indicators. The year before it had a new clutch. Autosleeper Clubman GL on a VW 2.5 litre chassis. It has been so well looked after and has just had a full service, MOT and habitation for peace of mind. It has an end bathroom and kitchen featuring a full oven, fridge, hob and sink. The best bit is the social area in the middle with huge windows to view the holiday pitch and this makes up a very comfortable huge double bed, or two singles. Of course this is also the area for the dinette set up and a good place to relax and enjoy a spot of television or listen to the radio whislt reading a good book and drinking your favourite tipple. 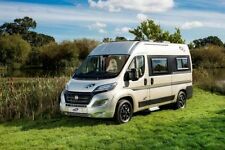 You will love this motorhome as soon as you see it and is exceptional for the year. DEPOSIT TAKEN. INTERIOR IS IN NICE VERY CLEAN CONDITION, USUAL AUTO SLEEPER QUALITY, ONE PIECE SEAMLESS MONOCOQUE BODY, SO NO ISSUES WITH DAMP. RUNS & DRIVES WELL, PLENTY OF POWER WITH ITS TURBO ENGINE, I HAVE TAKEN IT FOR A MOT THIS WEEK WHICH IT PASSED WITH NO ADVISERIES. “Probably one of the best examples of its type. 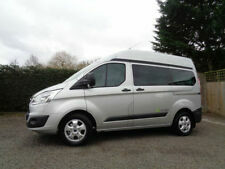 Peugeot Boxer Symbol 2/3 berth with 3 belted seats manual gearbox with 2L petrol engine and only 39,000 miles. Very good condition inside and out. 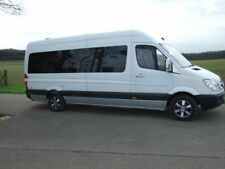 At only 5.4m long one of the smallest Auto-sleeper vans with toilet/sink/shower cubicle. Next service due in 5000 miles. 2 sets of keys. Original under seat storage baskets. Silver screen external blinds. Fly and black out blinds. Bathroom with sink, toilet and shower. 3 seat belts. Heating: Carver 3600STC gas heater, Carver 1.2 Kw water heater. Washroom: Thetford casette toilet, wet room, fold out basin. Internal options: Avtex TV, safe, Kenwood DAB radio. Fresh water: 64 ltrs. 1995 N-Reg Autosleeper duetto 2.5 Diesel. 1997 AUTOSLEEPER EXECUTIVE ON A PEUGEOT BOXER 2.5 DIESEL CHASSIS. ONLY 2 OWNERS FROM NEW AND ITS STUNNING INSIDE! South Coast Solar - Viewing is by appointment only. - Call us on 442394211389 or click here to find out more. COOKER WITH GRILL AND HOB/FRIDGE FREEZER/TOILET WITH SEPARATE SHOWER/SINK WITH DRAINER. Extra/updated equipment, long MOT, gas safety cert. Dedicated TV Station To The Lounge. End Kitchen. Fiamma F45i Wind Out Canopy. Loose Fit Carpets To The Habitation Area. All In One Wetroom. (However if you're not a dog lover don't worry - the van is spotless and you wouldn't even know he had been in there. 3) There's a small dent in the worktop where the microwave plate flew out going round a very tight bend in Wales, we replaced the broken plate and now keep it in the drawer when we are on the move. 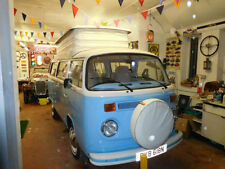 A very clean low mileage Autosleeper Duetto LE with only 59000 miles! Warranty 3 months. Fiamma awning. Excellent Interior Condition. Right Hand Drive.